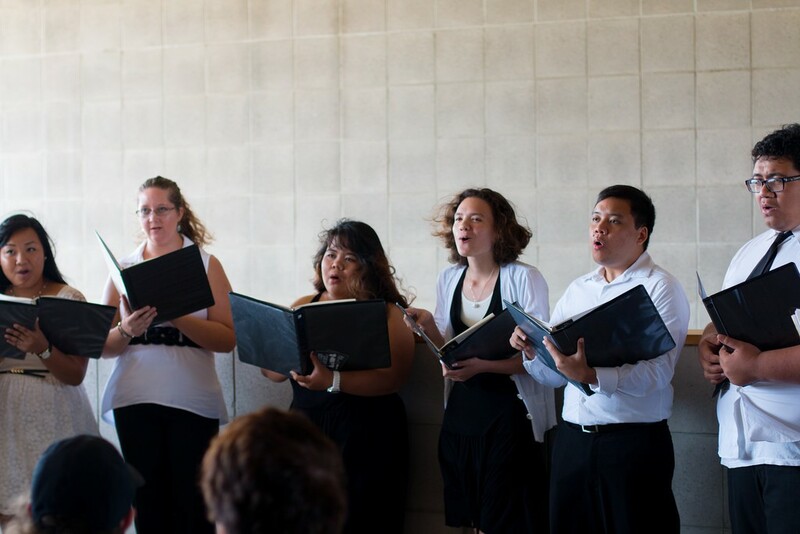 Ring in the holidays with the UH West Oʻahu winter concert featuring holiday and festive music with performances by the UH West Oʻahu University Band, University Chorus, and Hawaiian Ensemble in a first-ever collaborative concert, along with special guest, the Mililani High School Chorus, Ke Kūlana Papa Hīmeni o Mililani, and a very special surprise guest conductor. UH West Oʻahu students from Dr. David Odhiambo’s class will also recite poetry as part of the evening’s events. Happening Saturday, Nov. 28 from 7-9 p.m. at the Pearl City Cultural Center. The concert is free and open to the public. Donations to the UH West Oʻahu Music Fund will be accepted on-site. Tagged concert, Hawaiian Ensemble, music, student activites, University Band, University Chorus, winter concert. Bookmark the permalink.